The SW City Department of Transportation was established in 1863 after there was a pressing need for a reliable public transportation system. For about a hundred years, the department's only concern was the improvement of the territory's road networks. But eventually they started working into the construction of mass transit. 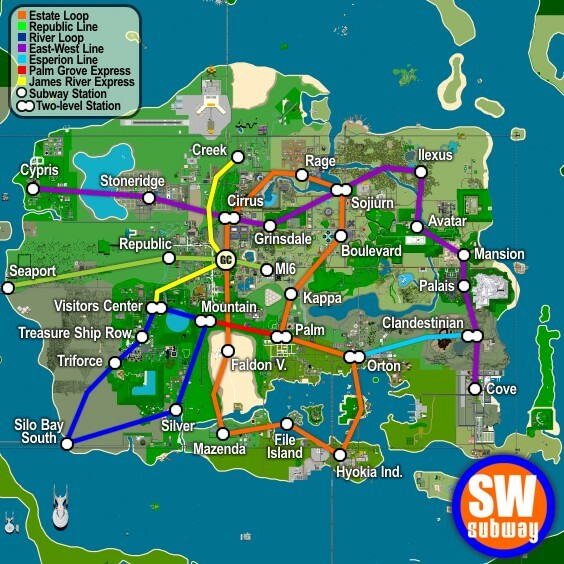 The Department was commissioned to fund and develop a subway and monorail network, and the SW City Subway and SW City Monorail systems were constructed. At first, there was a small fee to use these facilities; however, in 2000, the newly-appointed Transportation Commissioner, Syntax, along with the SW City Administration, ruled that all fees and charges were to be abolished and the system would be made free for all who wished to use it. In November of 2004, after concerns were raised that some important locations in the city were far too remote and unable to be accessed by public transportation (such as Velothi Island), the Eastern Ferry Company was created by the Department and began ferrying people between locations. The Department also handles road signs and directional signs, and the city has seen upgrades to these systems gradually over the last few years. Recently, the Department has completed a massive overhaul of the Monorail system, converting it from basic elevated traintrack to a state-of-the-art maglev network. This transition took several months to complete. "You pay your taxes, and we'll transport you"
For a more detailed article on Eastern Ferry, see the full article. The Skylane Foundation, a sub-department or team of the Department of Transportation, is responsible for the restoration and maintenance of the skylane network. Skylanes are a elevated walkways, once territorial walls from the past. Over the years, skylanes have fallen into disuse; many sections being torn down to make room for new developments. The James River skylane is one district where the skylane remains in high use today; mostly due to the scenic routes that the lane was built such as crossing in front of popular tourist attraction James River Falls.